This version contains legislation covering previous years as well as 1/04/2019 to 31/3/2020. The rates to use are automatically selected by Payroll Pro according to the pay period end. If any further legislation changes are made during the year, we will let you know! The maximum income to which the ACC Earner Levy is applied increases from $126,286 to $128,470, giving a maximum levy of $1,785.73. So, this generally affects employees earning more than $126,286. The ACC Earner Levy rate remains at 1.39%. For main employment income, the repayment threshold is increased from $374 per week to $380 per week. For example an employee on tax code M SL can now earn more gross pay per week before they have any student loan repayment deducted from their pay. Employees can now elect deductions at 6% or 10% in addition to the existing rates of 3%, 4% and 8%. A new file format is now available for the upload of new and departing employee details to myIR. This is a CSV (Comma Separated Values) file, instead of the previous Excel (XLS) file. This new format (CSV) can be uploaded in the same area as the payday file, simplifying the process for employers. You can update to the latest version using the "Check For Updates Online" option from the main menu of Payroll Pro. 2.49 FiveStar Payroll Pro now supports Payday filing. 2.49a - some additional changes to IRD specifications incorporated into Payroll Pro. This version contains legislation covering previous years as well as 1/04/2018 to 31/3/2019. The maximum income to which the ACC Earner Levy is applied is increased from $124,053 to $126,286, giving a maximum levy of $1,755.37. So, this generally affects employees earning more than $124,053. For main employment income, the repayment threshold is increased from $368 per week to $374 per week. For example an employee on tax code M SL can now earn more gross pay per week before they have any student loan repayment deducted from their pay. From April 2018 the IRD will not longer accept the printed IRD Approved IR348/349 (Employer Monthly Schedule, EMS). A warning message has been added in Payroll Pro as a reminder. Payroll Pro - new features added 2017 and earlier. Start and Finish - a new form has been added in the Timesheet area where the user can enter the start time and finish time, and unpaid breaks, per day, for each employee, so that the user does not need to calculate the hours worked per day. The button for this has now been enhanced to help it stand out. Electronic Banking - now has a clearer heading to indicate the date the banking relates to. Start and Finish - a new form has been added in the Timesheet area where the user can enter the start time and finish time, and unpaid breaks, per day, for each employee, so that the user does not need to calculate the hours worked per day. IRD Message - a new message has been added to advise that the IRD will no longer be accepting computer printed IRD Approved ir348 forms from any payroll software from 1/4/2018. Allowances and Deductions - The Reset to Zero option has now been expanded to allow "Reset units to zero after employee paid" and/or "Reset rate ($) to zero after employee paid". Previously this just set the units to zero. New look main menu - Each column has different coloured buttons to help the user easily see the setup vs payrun vs other options. The Electronic Banking option is now showing under Update Totals since this is the logical order of use. A new button IRD Filing has been added in the right hand column to indicate to users that IRD filing options are available. Updated Digital Signature - Payroll Pro and it's related software is now signed with an updated signature. Hints and Messages: Additional helpful hints and messages added at various places. 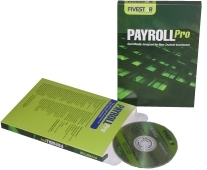 Payroll Pro version 1 has now been discontinued. Clients can upgrade to version 2 free of charge.